Two platform base plates with printed safety line and covering pavement. For the platform ends ramps with two different slopes are provided. 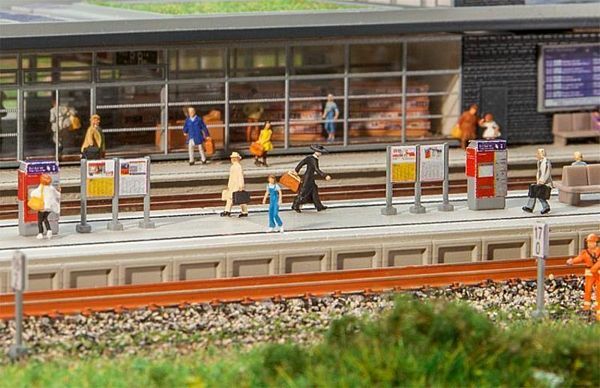 The kit includes modern decoration elements such as train destination indicators, ticket slot machines, lamps, signs and information panels. 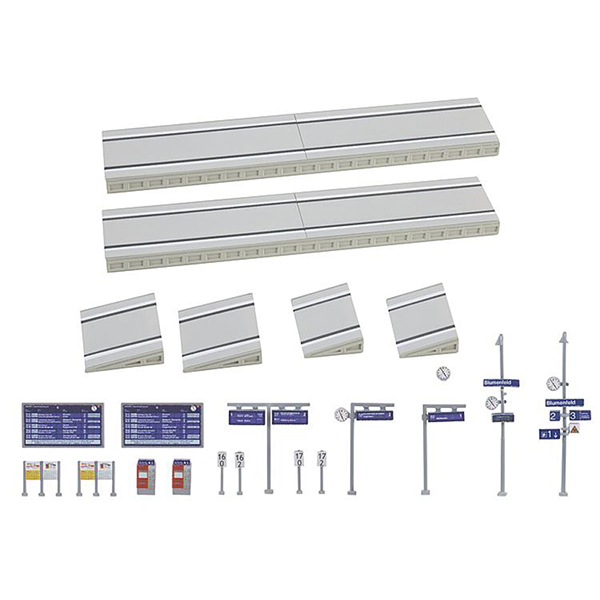 The width of the platform can be chosen variably according to useful rated break points built into the part.